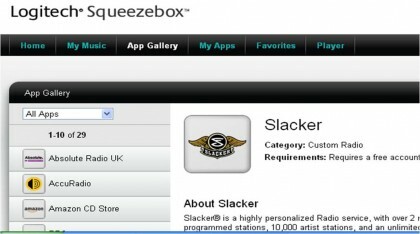 Mari Silbey: Logitech is introducing an App Gallery that will organize all of the Squeezebox service options in the now-familiar “App Store” format. Question of the day: AppleTV with Blu-ray? Dave Zatz: EyeTV, the OS X DVR software and television tuning/encoding hardware provider, receives a companion iPhone app today. Dave Zatz: The Hub was designed to be both an Internet-connected widget station and serve as the household VoIP hub with a bit of PIM functionality thrown in to sweeten the deal. Good and nice application. Thanks for the share. Very well done.